The Great Lakes Water Infrastructure Project is working to develop innovative solutions to water infrastructure risks in Great Lakes cities with the goals of improving health, equity, affordability, and efficiency. 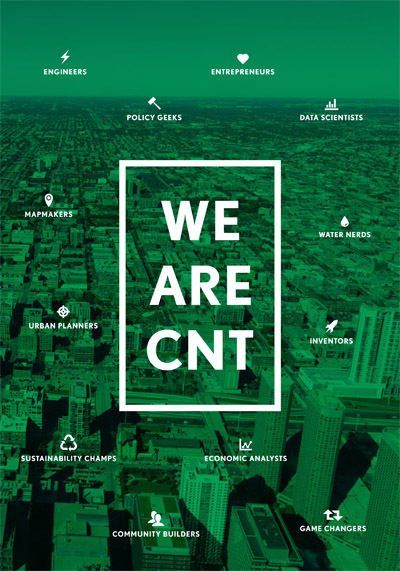 Through work with several communities and our research on the current state of water infrastructure across the Great Lakes Basin, CNT identified some top-level water infrastructure challenges: water affordability, water pollution, lead contamination, and water loss. 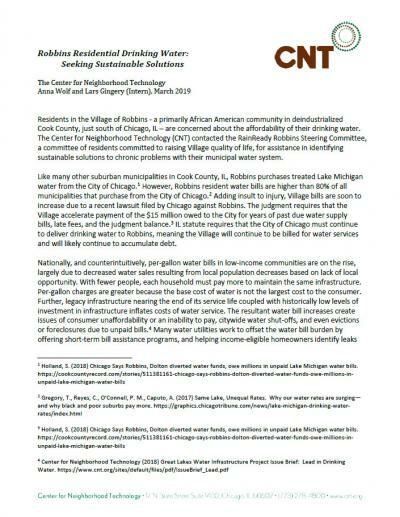 CNT also looked at communities that are making strides to address issues using innovative methods. 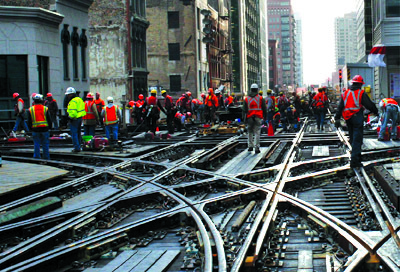 These case studies examine how cities are advancing positive infrastructure choices. 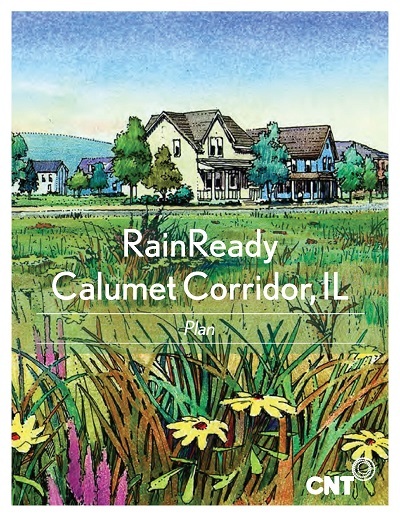 The RainReady Calumet Corridor Plan represents the collective vision of over 2,100 residents, business owners, and municipal staff, elected representatives, regional leaders, and non-governmental organizations that all share interest in strengthening the homes, neighborhoods, communities throughout the Calumet Corridor in the south suburbs of Chicago. 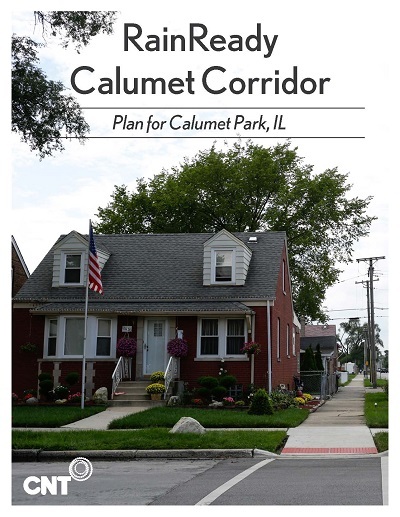 This document is a comprehensive plan for the entire Calumet Corridor, with specific recommendations for each of the cities and villages within--Blue Island, Calumet City, Calumet Park, Dolton, Riverdale, and Robbins. 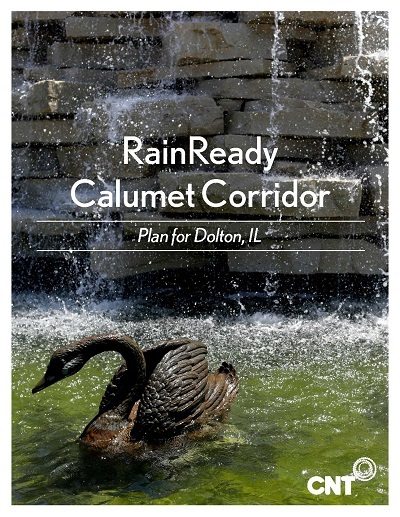 The RainReady Calumet Corridor Plan represents the collective vision of over 2,100 residents, business owners, and municipal staff, elected representatives, regional leaders, and non-governmental organizations that all share interest in strengthening the homes, neighborhoods, communities throughout the Calumet Corridor in the south suburbs of Chicago. This document focuses on the Village of Robbins, Illinois. 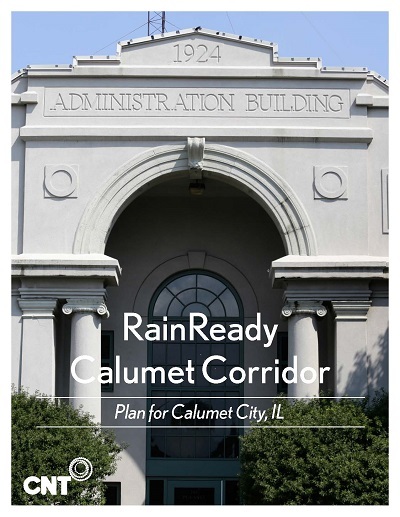 The RainReady Calumet Corridor Plan represents the collective vision of over 2,100 residents, business owners, and municipal staff, elected representatives, regional leaders, and non-governmental organizations that all have a shared interest in strengthening the homes, neighborhoods, communities throughout the Calumet Corridor in the south suburbs of Chicago. This plan focuses upon the Village of Riverdale, Illinois. 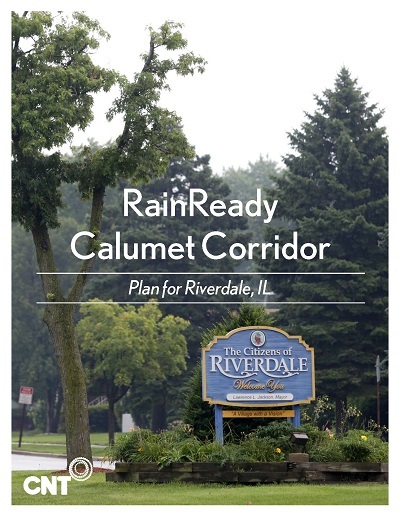 The RainReady Calumet Corridor Plan represents the collective vision of over 2,100 residents, business owners, and municipal staff, elected representatives, regional leaders, and non-governmental organizations that all share interest in strengthening the homes, neighborhoods, communities throughout the Calumet Corridor in the south suburbs of Chicago. This document focuses upon the Village of Dolton, Illinois. 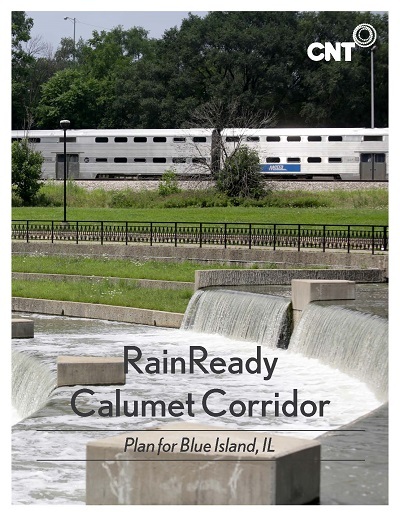 The RainReady Calumet Corridor Plan represents the collective vision of over 2,100 residents, business owners, and municipal staff, elected representatives, regional leaders, and non-governmental organizations that all share interest in strengthening the homes, neighborhoods, communities throughout the Calumet Corridor in the south suburbs of Chicago. This document focuses on the Village of Calumet Park, Illinois. 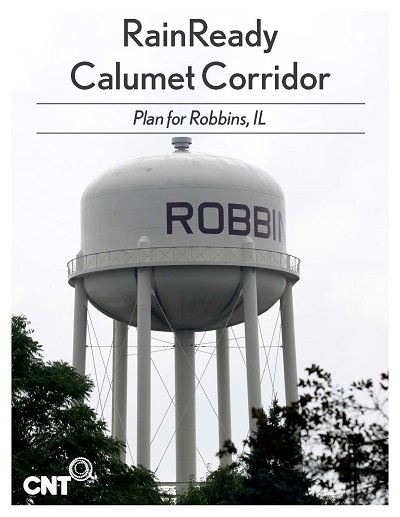 The RainReady Calumet Corridor Plan represents the collective vision of over 2,100 residents, business owners, and municipal staff, elected representatives, regional leaders, and non-governmental organizations that all share interest in strengthening the homes, neighborhoods, communities throughout the Calumet Corridor in the south suburbs of Chicago. This document focuses on Calumet City, Illinois. 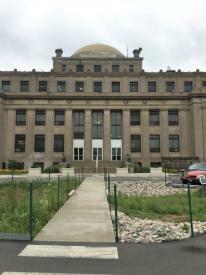 The scope and severity of flood risk and flood-related damages in the Chatham community are among the worst in Cook County, Illinois. 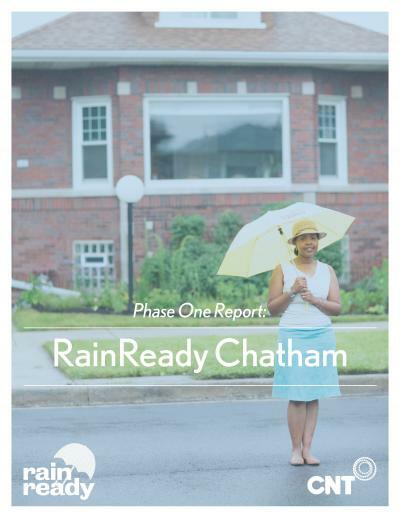 In September 2013, CNT began its Chatham program outreach through the RainReady initiative. This document is a product of this initiative, in partnership with resident leaders, the U.S. Army Corps of Engineeers, and CNT's funders and supporters. 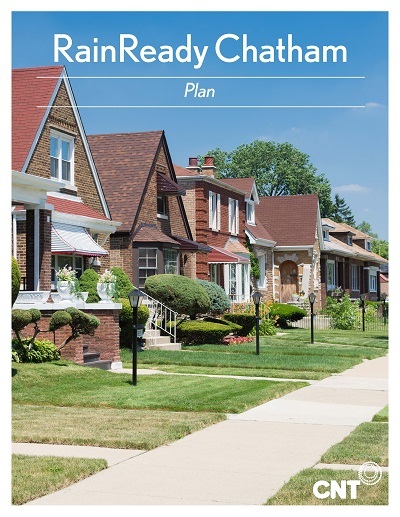 It builds upon our earlier publication, RainReady Chatham Phase One Report, and provides a comprehensive community-first plan that includes solutions on multiple scales: the individual property, the street and neighborhood, and the community. In order to better understand Midlothian’s flood risk, the Center for Neighborhood Technology, U.S. Army Corps of Engineers, Floodlothian Midlothian, and the Village of Midlothian joined together in January 2015. 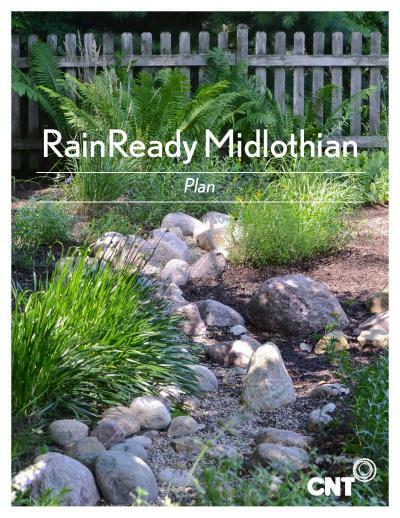 Throughout 2015, this group met monthly, hosted three community meetings, conducted a survey of 253 residents, and published the RainReady Midlothian Interim Report, an account of existing flood risk in the village. 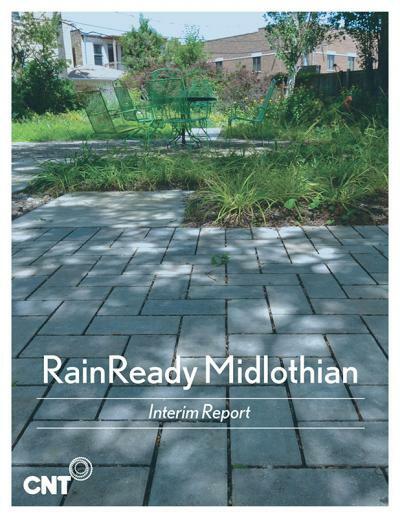 Together, we have established a shared vision for a RainReady Midlothian, summarized in this report. Chatham, a neighborhood on Chicago’s South Side, has been susceptible to flooding since it was first developed in the 1860s. In January 2015, the Center for Neighborhood Technology (CNT), the U.S. Army Corps of Engineers (USACE), and a group of neighborhood flood victims joined together to launch RainReady Chatham to look for solutions. This report presents the findings of our flood risk analysis and preliminary suggestions for how to fix Chatham's flooding problems. 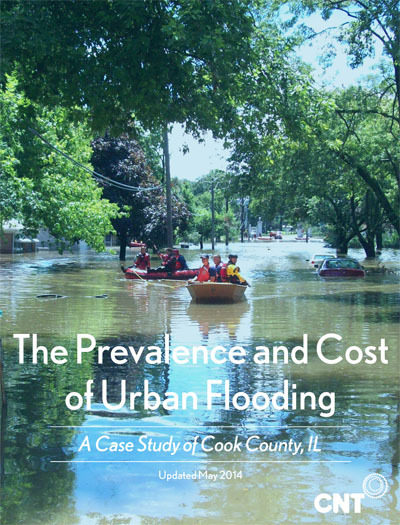 Since September 2014, CNT and the U.S. Army Corps of Engineers (USACE) have been working closely with the Village of Midlothian and a variety of community and agency partners to assess the cause and characteristics of chronic urban flooding in Midlothian, a southwest suburb of Chicago. Data has been collected through a resident survey, expert analysis of existing storm sewer systems and watershed topography, a newly installed streamflow gage on Natalie Creek, as well as archived and recent precipitation data. This interim report summarizes and synthesizes these many sources of information collected to date, and begins to identify opportunities for intervention to support resilience in Midlothian. As storms become increasingly destructive, homes and businesses face a heightened risk of urban flooding, even when they aren’t located in formally designated floodplains. 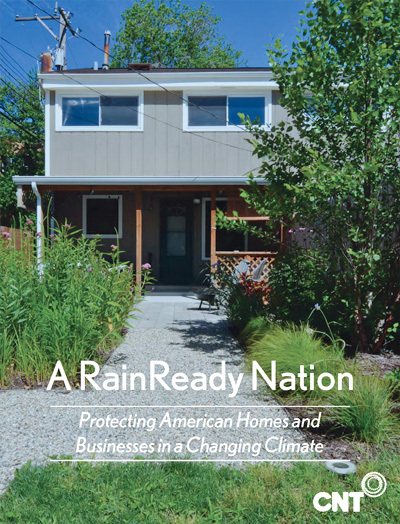 CNT’s RainReady program offers innovative, cost-effective solutions to keep properties dry and help communities stay resilient in the face of a changing climate. In 2012, over 22 billion gallons of Lake Michigan water, worth between an estimated $64 million and $147 million, were lost to leaky, aging infrastructure. 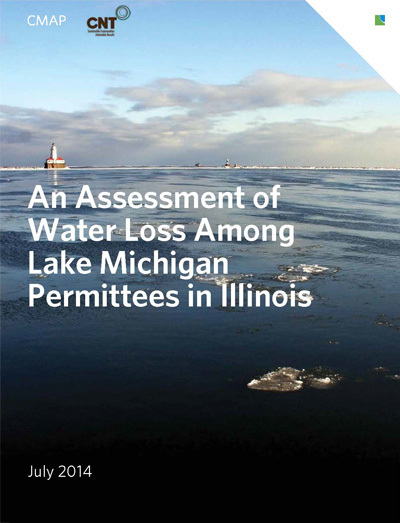 CNT and CMAP studied the water loss control techniques used by Lake Michigan water suppliers and found that over the last several years, 21% of permittees have been out of compliance with the current 8% annual water loss standard set by Illinois Department of Natural Resources (IDNR). In addition to offering recommendations to IDNR, this report also acknowledges the challenges faced by utilities in tackling the water loss issue and provides manageable solutions specifically addressing available industry best practices.